This loose powder melts into skin when encounter and it keeps pores and uneven surface texture concealed while maintaining skin's natural moisture. A MUST HAVE FOR SINGAPORE WEATHER! 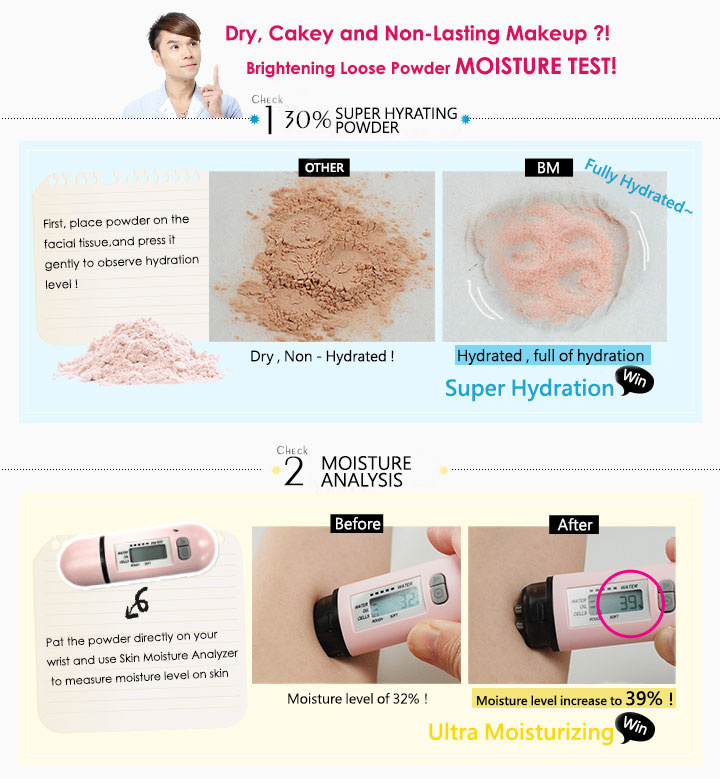 A solution for thirsty skin for makeup to last the entire day, solving all makeup woes of oily, dry and cakey look. "Ice crystal particles" with a pale cherry pink outermost layer to create a radiance looking skin. 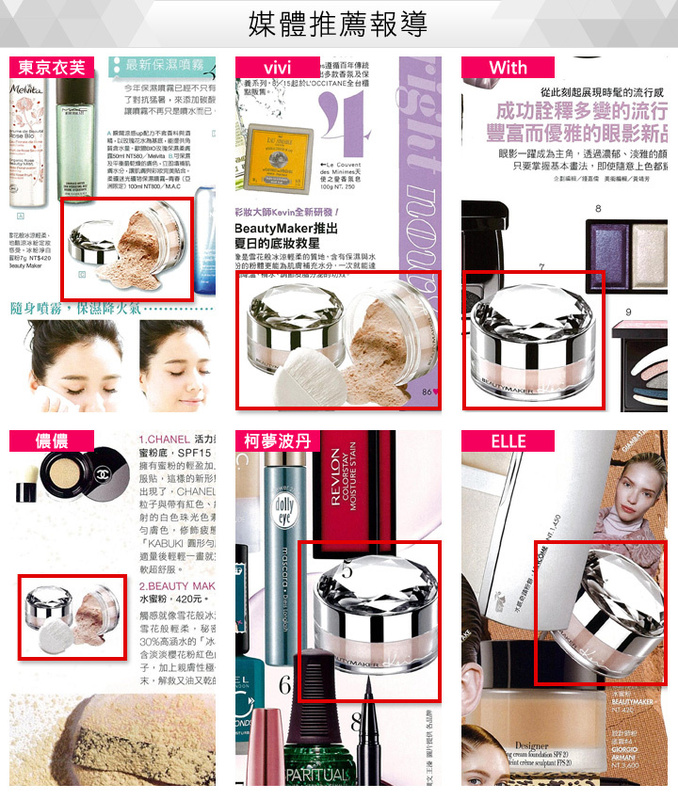 Instantly conceal pores, creating a fair and translucent glow like snowflakes! Super silky smooth texture, creating a snowflake kissed feel when applied. With added amino acid, it is moisturizing and skin-friendly, super lightweight with more moisturizing ingredients and water. 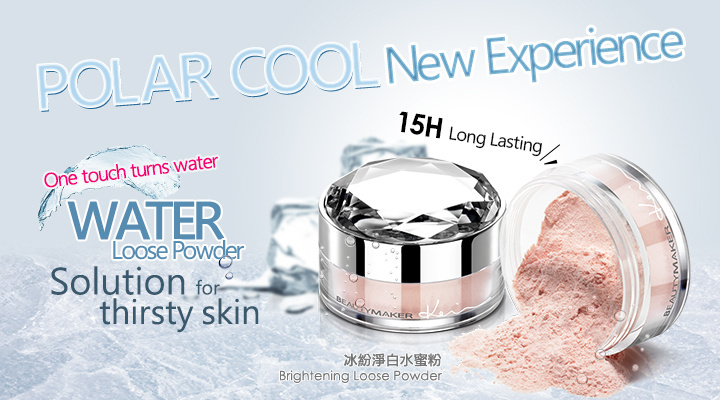 Immediately hydrates skin when powder comes into contact with skin. With pure hyaluronic acid, sorbitol, aloe, moisturizing powerful lineup, not only cold but with even more moisturizing. Vitamin B5 to balance sebum secretion, control oil, avoiding dull makeup. Added Vitamin C for fairer-like snow makeup, allowing makeup to last longer and feel relax all day round during summer. 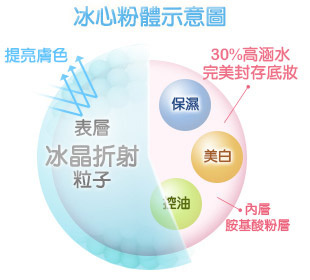 Water, Talc, Propylene Glycol, Nylon-12, Mica, Silica, Zinc Stearate, Glycerin, Titanium Dioxide, Lauroyl Lysine, CL 77491, Dimethicone, Sorbitol, Sodium Hyaluronate, Methylparaben, Potassium Sorbate, Phenoxyethanol, Propylparaben, Morus Bombycis Leaf Extract, Bambusa Vulgaris Leaf Extract, Camellia Sinensis Leaf Extract, Aloe Barbadensis Leaf Juice, Ascorbyl Glucoside, Panthenol. After makeup, dust on powder lightly in an outward and downward direction starting with the center of the face. 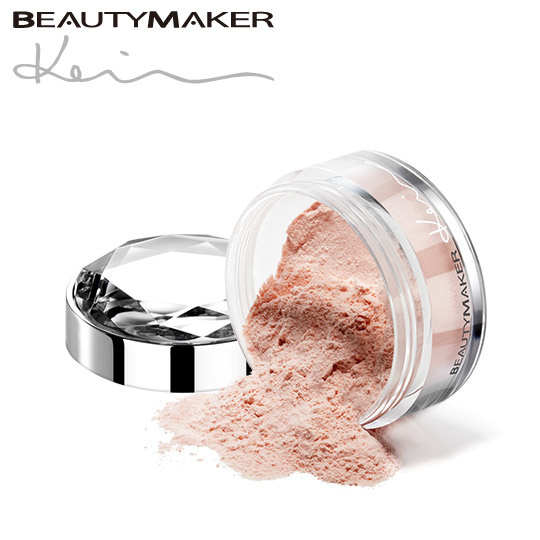 This powder gives a bright satin finish and sets makeup without drying out skin. I have dehydrated and combination skin and this powder does not emphasis my dryness yet gives my skin a radiant and smooth look. I've already bought my second tub as a backup! Good quality product. Quick delivery, repeat order. This is my 2nd purchase on loose powder and brush though it is quite pricey for a small container. Works on my face and love the cooling effect.